Speed. Versatility. Playmaking. Three traits that are key to any successful offense in football, at any level. For UConn, they just got major help in each of those categories as Texas running back Darrin Smith has announced he has committed to UConn. A native of Frisco, Texas, just outside of Dallas-Fort Worth, Smith knows football and has been a part of it at the highest level where the game is king. 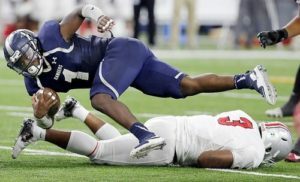 Heavily recruited coming out of Lone Star High School, Smith is the 11th ranked All-purpose running back, not in the state of Texas, but the entire nation. Nebraska, Arizona, Colorado and cross-town TCU came calling, all offering Smith, seeing in him the opportunity to add a playmaker. Their loss is the Huskies gain and he committed for one major reason. 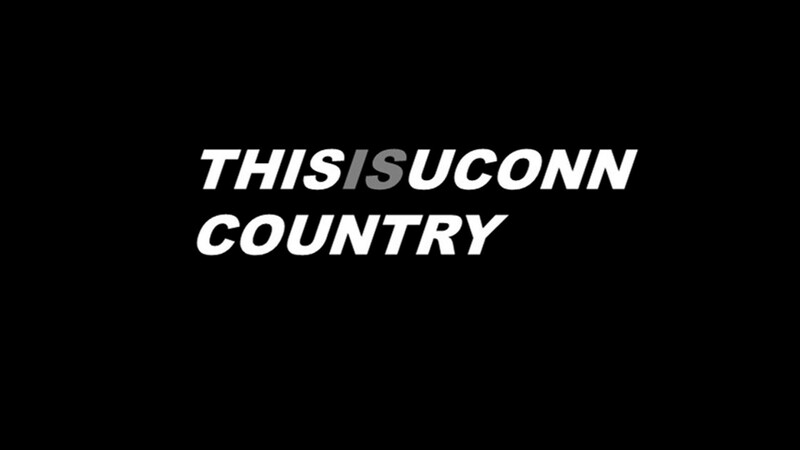 UConn has been to the top with multiple BCS Conference Titles (Big East), a win in South Bend, a dominating performance over South Carolina in a bowl game and a trip to Tempe in the 2011 Fiesta Bowl. The potential for the Huskies program is high and with Edsall back leading the program he built, that potential is resonating. Edsall was a big reason why Smith committed. Smith is a competitor and he has gained a lot of experience throughout his high school career. Playing alongside Kirby Bennett in the backfield, a 2018 running back recruit, who held thirty-eight power-five offers, it was an opportunity for Smith to showcase his versatility and ability to not just be a running back, but also hone his skills by also lining up in the slot and even on the outside at times. A football mind, he recognized the mismatches that brought the Frisco Lone Star offense and it’s an experience that likely intrigued Huskies offensive coordinator John Dunn. 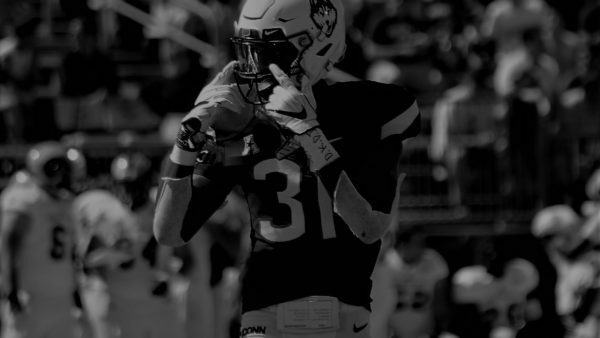 The 5′ 8″ running back possesses a motor that drove him to the starting role his freshman season and it’s only helped him get better on the field, year-after-year. Smith’s announcement also brings depth to a position that saw four-year starter Arkeel Newsome graduate. As sophomores Nate Hopkins, a fellow Texan, and Kevin Mensah blossom and continue to grow, not to mention the newly shifted Zavier Scott to the position, Smith will be an addition that will challenge the group, along with incoming Capital Prep standout Khyon Gillespie, who got the attention of Dallas Cowboys’ star running back Ezekiel Elliott this past season. By all accounts, Smith is a major talent who could instantly be a difference maker in this offense. He’s also playing the game for the right reasons, being passionate about the sport he called a ‘lifestyle.’ Football has also given him an opportunity to grow away from the game, in the classroom and as a person. On the field, he lives up to the hype. He’s been a standout player since picking up the game at the age of four and it’s a sport that comes naturally for him. He’s been a competitor on the field from the start, once getting kicked out of a youth flag football game for stiff arming an opponent. His work ethic and versatility keeps him on the field more than the average player and it also makes him hard to defend. The step-up to the college level also won’t be difficult for him, having consistently played in front of near capacity crowds, with top competition. Needless to say, he’ll be ready. Smith describes himself as a quiet person, who could improve his vocal skills, but on the field, he lets his game do the talking. He also recognizes that the work ethic that has gotten him to this point comes directly from his family. On social media, you might see the phrase ‘shock the world’ from Smith’s account. What would that mean for him here at UConn? The way the Huskies are projecting, they could be doing just that upon his arrival.